Or as low as $112.50 per month over 12 months. Apply Now. 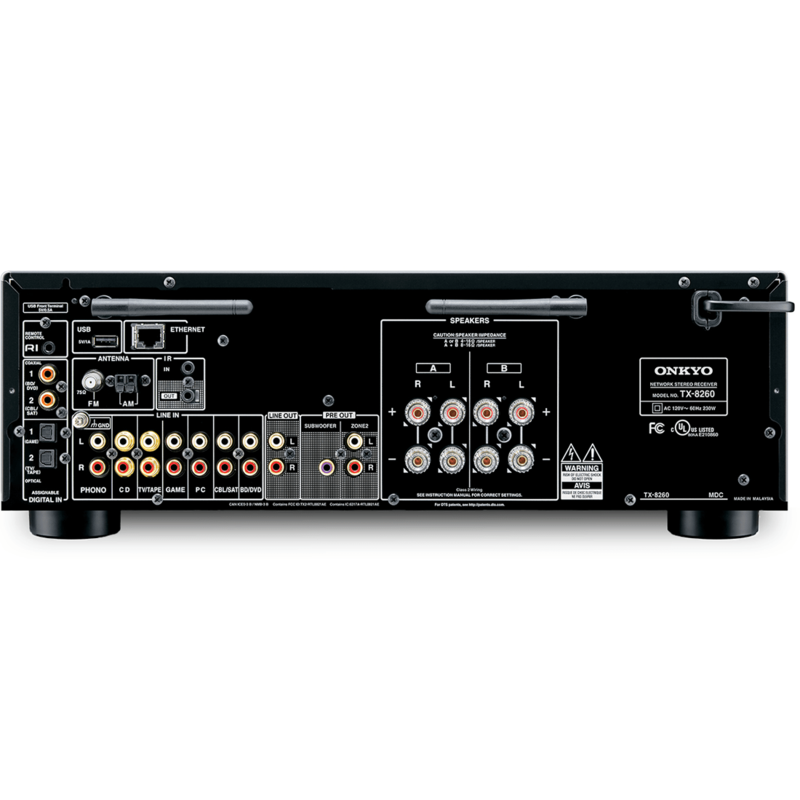 Onkyo TX-8260 has two coaxial, two optical, six RCA, and a phono input for connecting a variety of audio sources. There are two USB ports for interfacing additional sources such as mass-storage devices. 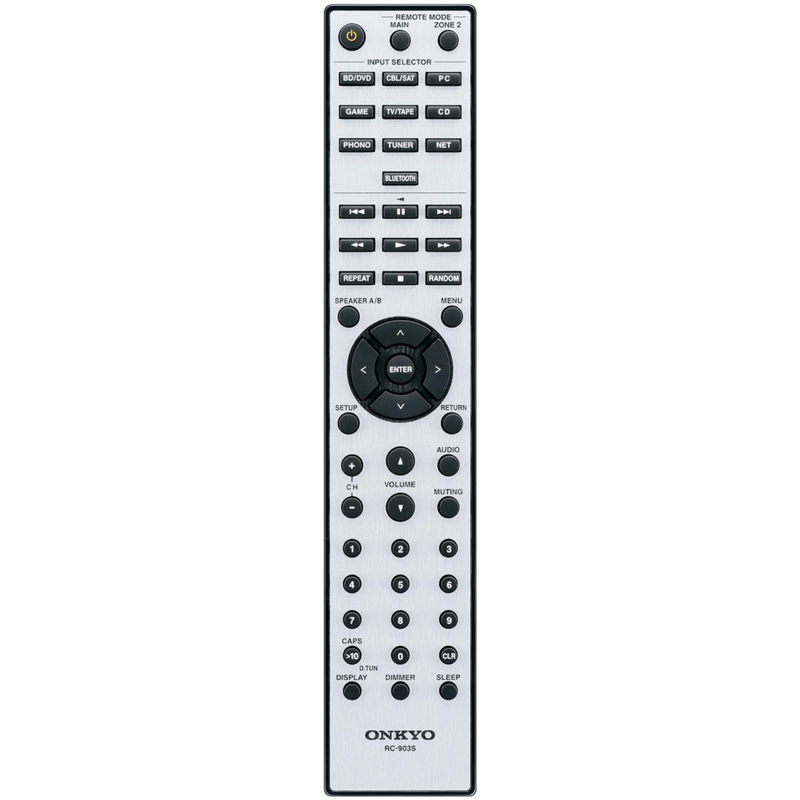 The Onkyo Controller app allows you to control your receiver from a compatible smartphone or tablet. 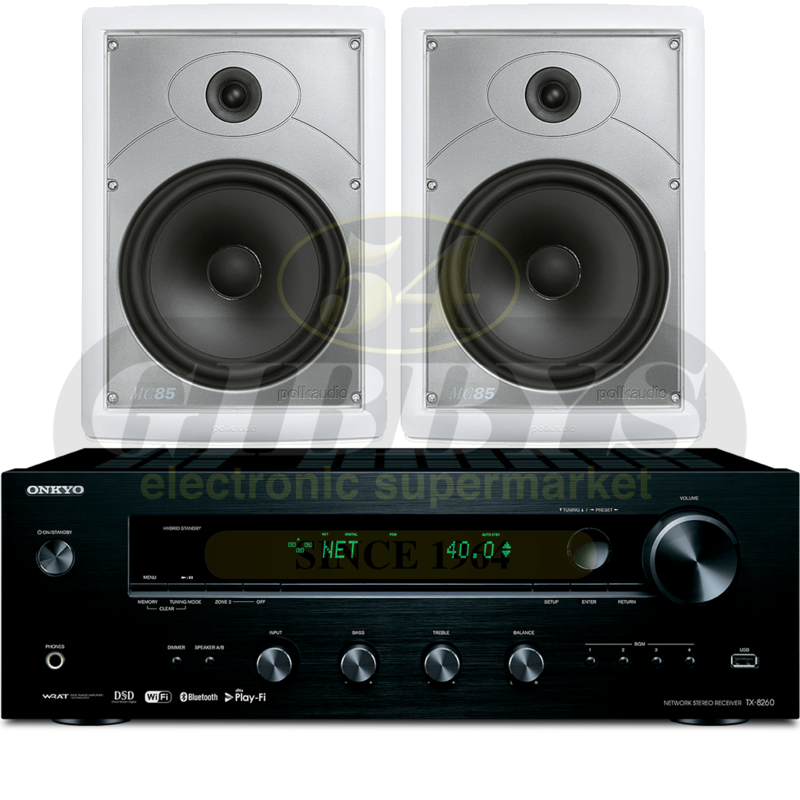 Match the TX-8260 with your stereo speakers to enjoy hi-fi sound with all your entertainment sources. Discrete high-current amplifiers and capacitors help ensure effortless driving power with low distortion. The high current grips the speaker cones for accurate control and enhanced vitality and detail. Non-phase-shift circuitry is designed to focus the audio image and reproduce a wide frequency bandwidth for Hi-Res Audio and vinyl sources. DTS Play-Fi technology lets you stream from linked online services, media servers, or device libraries over Wi-Fi to any number of compatible products via the Onkyo Music Control app for iOS and Android devices. DTS Play-Fi connects systems for synchronized music in every room with a compatible speaker or system, and can stream different music to different rooms from the same device. DTS Play-Fi is scheduled to be made available via a future firmware update. 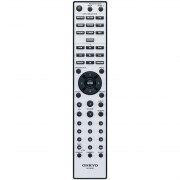 The Onkyo Controller app supports receiver and multi-room control; the selection and distribution of on-demand streaming services, radio selection, USB disk browsing, and more are available from one interface on your compatible iOS or Android device. Spotify, TIDAL, Deezer, TuneIn, and Pandora are built into the system GUI for streaming over Wi-Fi. Use dedicated apps or the Onkyo Controller app to find and play music. Cast from Windows, Mac, and iOS devices from iTunes, together with other supported applications, via AirPlay technology. Plug a USB flash device into either the front or rear USB input to play your digital files. Use the Onkyo Controller app to explore albums containing MP3, AAC, ALAC, FLAC, WAV, and DSD files. Scan and save 40 AM/FM radio stations for one-touch recall anytime. Bring a variety of programming to your listening space, from news and sports to music and talk radio. With Bluetooth wireless technology, you can stream almost any audio playing on your compatible smartphone, tablet, or computer. The Auto Connect and wake-on-signal detection functions get music playing wirelessly in moments. 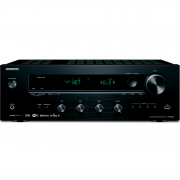 Designed for music and film lovers seeking hi-fi sound, the TX-8260 is equipped with inputs to connect a range of devices. 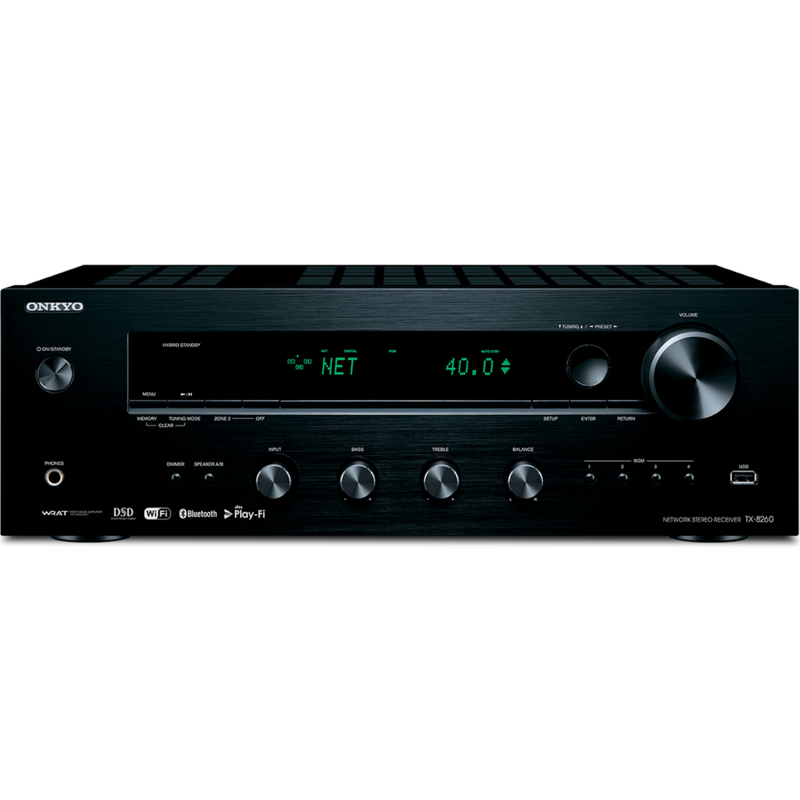 Use Hi-Res Audio-ready digital audio inputs to route display or computer audio through to the speakers, line-level inputs for a CD player or DAC, and the MM phono input for your turntable. 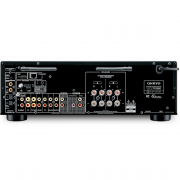 The AKM AK4452VN digital-to-analog converter features low-distortion filtering technologies suited to the frequency response of Hi-Res Audio files. Enhanced S/N and low-noise performance help ensure clear analog conversion of nearly any digital source. 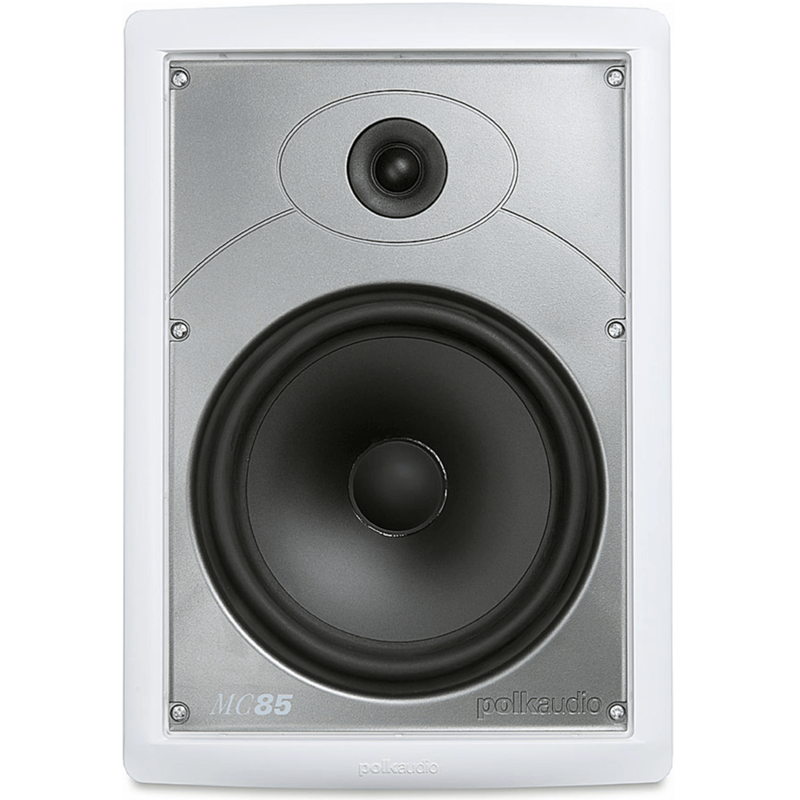 The Polk Audio MC85 High Performance 8 1/2″ Rectangular In-Wall Speakers are large, basic built-in loudspeaker that performs with no-holds-barred, even in difficult installation locations. 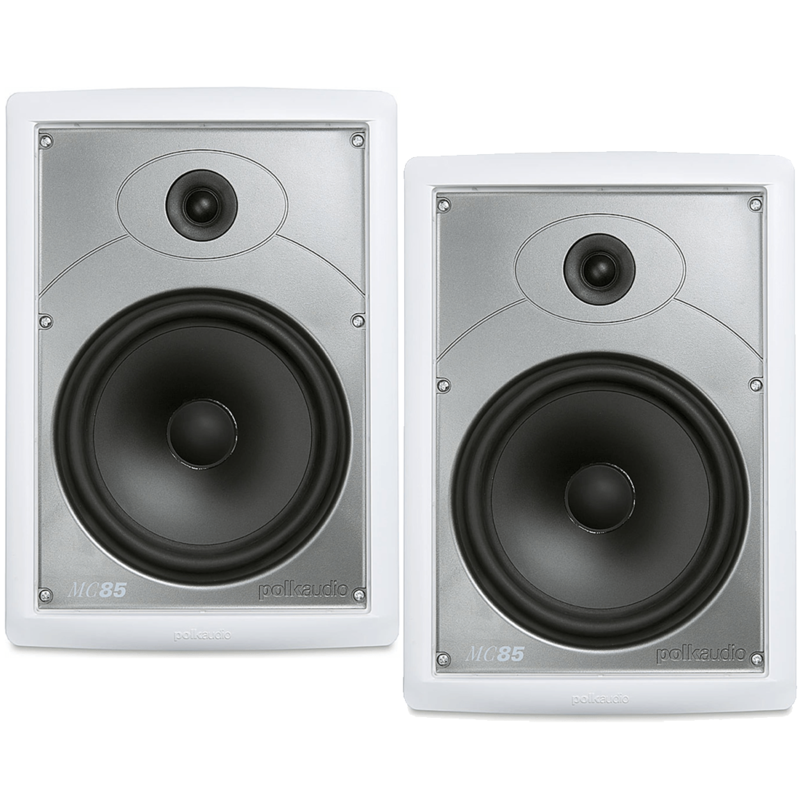 the MC85 In-Wall features an 8-inch midwoofer for smooth, wide-range response with low distortion, and a 3/4-inch aimable silk dome tweeter with a powerful neodymium magnet structure for clear, detailed highs and excellent imaging (even in off-axis listening positions). Expect seamless integration with other Polk loudspeakers, and uniform sound coverage throughout even large rooms. 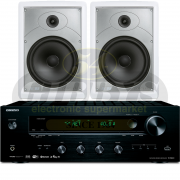 Ideal For Multi-Room Audio. The MC Series features features Dynamic Balance driver technology, an amiable tweeter and polymer cone woofers so your music sounds always crisp, always clear. Plus infinite baffle tuning for excellent bass response whatever kind of wall you put them in. Like all Polk Audio’s built-ins, the MC Series installs easily in new construction or retrofits. 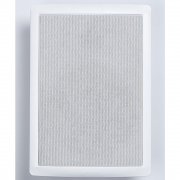 Moisture resistant mounting hardware and aluminum grilles let you install MC loudspeakers in the kitchen, bathroom and under outdoor eaves. 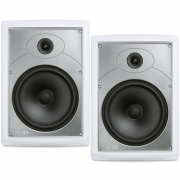 Fill your room with great sound, without sacrificing an inch of floor space. Polk’s MC85 speakers, sold separately, install flush in your wall for a sleek, attractive look. 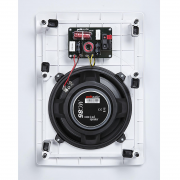 Pivot the 3/4″ tweeter to aim the high-frequencies where you like, so you can fine-tune your system’s sound. The 8″ woofer provides rich, warm lows. 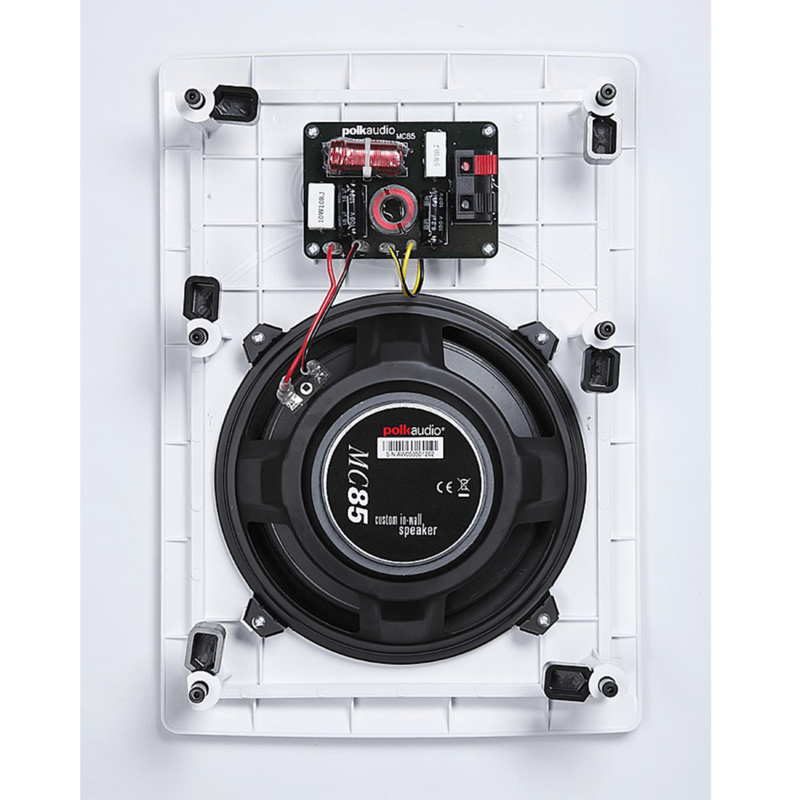 And this speaker’s moisture-resistant design means you can use it in your kitchen, bathroom, or even outdoors, under the eaves. Along with a 3/4″ silk dome tweeter for a complete range of sounds. Ensures reduced offending resonance for clean and clear sound. For detailed highs and sound imaging. 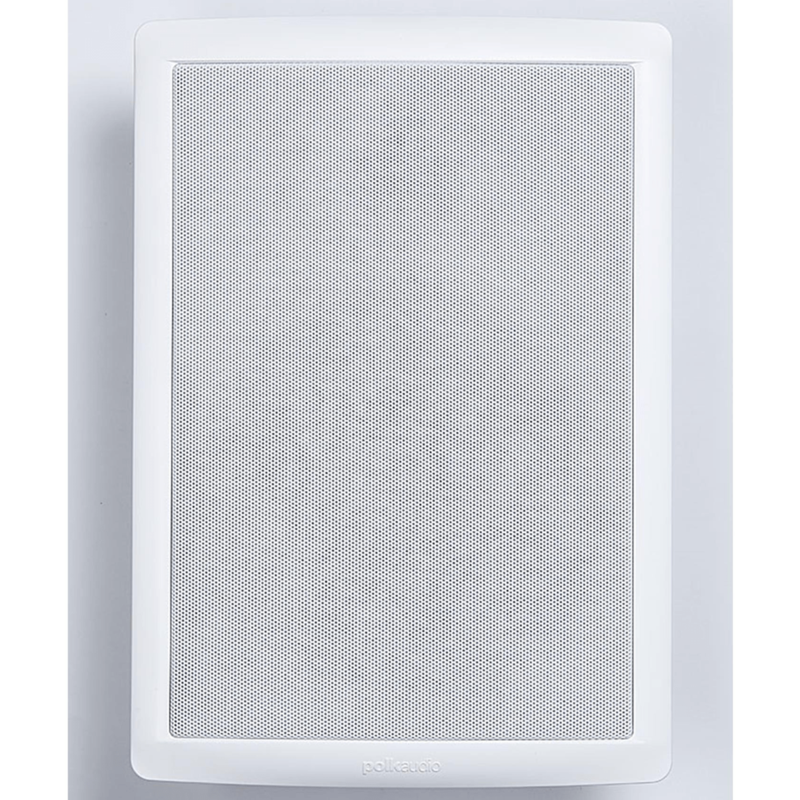 Provides uniform sound coverage throughout a room. Utilizes in-wall space to increase low-end bass. Allow you to match your décor. For a simple installation. A moisture-resistant design allows placement in damp locations.